To keep things fresh and relevant in the sport compact car segment, Subaru has introduced a new Series.Blue Edition trim package for the nimble and affordable BRZ. 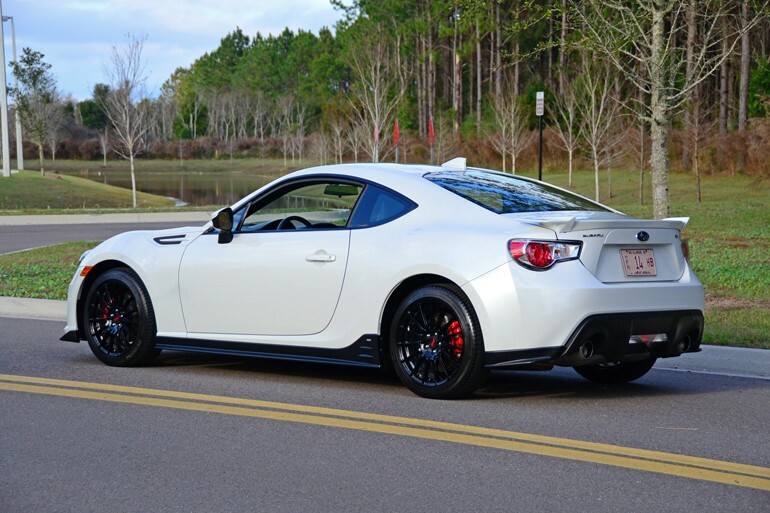 In the scope of what the Subaru BRZ and its Scion FR-S sibling offer, it delights potential consumers to see the brands tweaking the winning recipe for a rear-wheel-drive sports car that doesn’t break the bank. 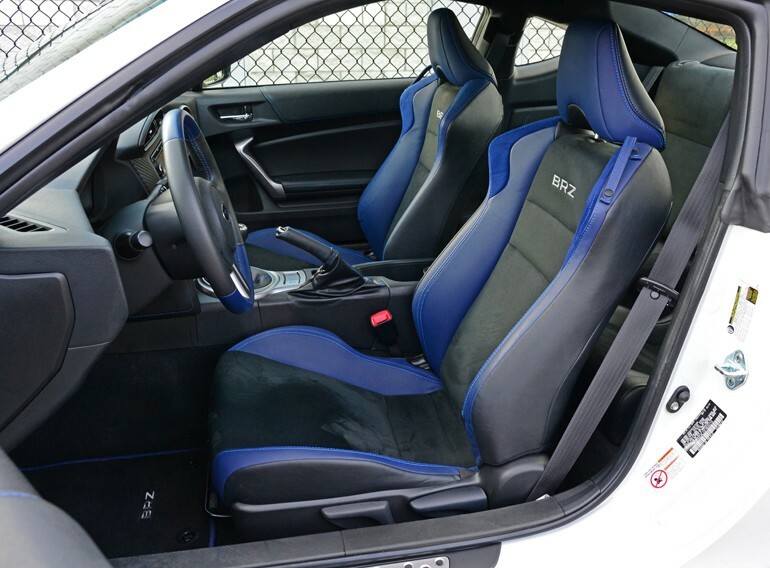 Inspiring a short list of amenities, the new 2015 Subaru BRZ Series.Blue incorporates many bits to conform to the vast feature sets found on competitive vehicles at the same price point. 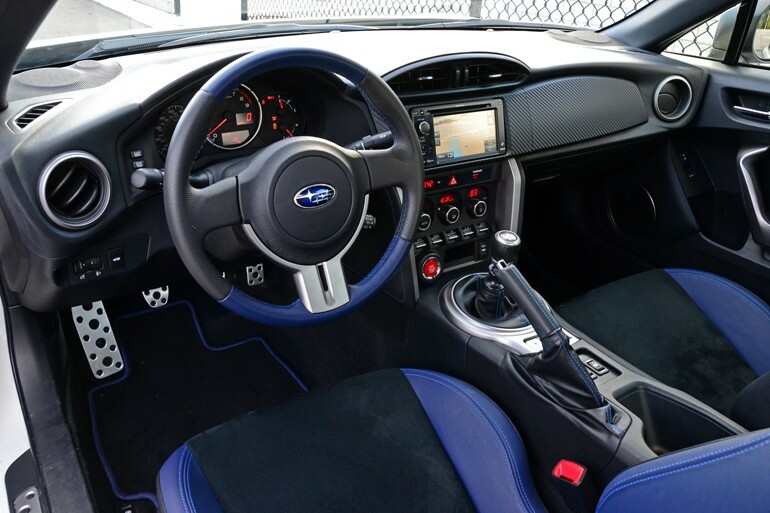 Some of those features, as found on the BRZ Limited trim, include push-button start, keyless access w/passive-touch lock/unlocking and dual-zone auto climate controls, which all get a little help to attract enthusiasts in the form of a unique eye-catching aesthetic and functional add-ons. The new 2015 Subaru BRZ Series.Blue, only available in two colors, WR Blue Pearl or my test vehicle’s Crystal White Pearl paint, adds a few STi-inspired bits to the feature set list, bringing a new exclusive sporty character to the small sports coupe. The Series.Blue package adds unique STi-logoed front, side and rear under-spoilers – basically a nicely done and eye-pleasing body kit. 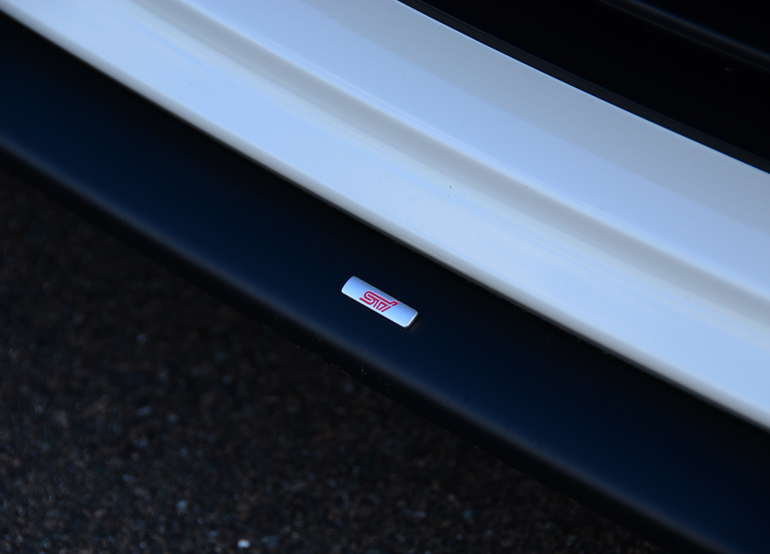 Apart from just looks, the kit and its specific underbody panels reduce the coefficient of drag (Cd) from 0.28 to 0.27, making the low-mass BRZ even slipperier through the wind. 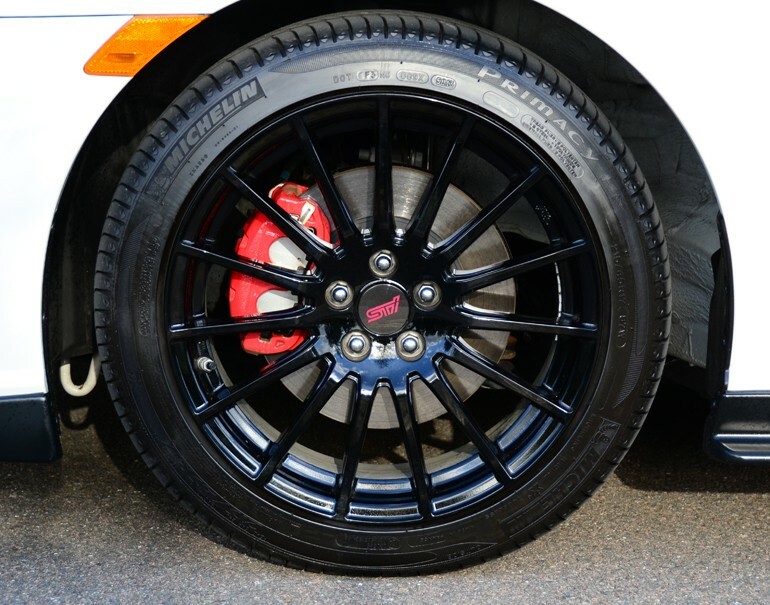 Continuing the individual character of the Series.Blue Edition package, the BRZ gets 17-inch STi black-finished alloy wheels wrapped in summer Michelin Primacy HP tires. 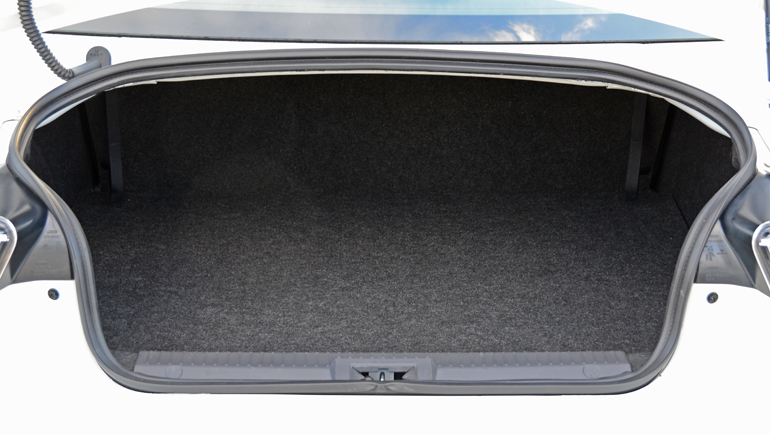 The interior is coupled off with the exceptionally supportive and super-sporty heated seats with blue leather bolsters, alcantara inserts and BRZ embroidering. The dashboard gets carbon fiber-patterned trim while you will find nicely-accented blue stitching throughout the door trim, front/rear seats, and the boot on the shifter and E-brake. In the mechanics department the 2015 Subaru BRZ Series.Blue is left mostly untouched with the exception of some minor suspension tweaks for a better balance of a comfort and a sporty ride. 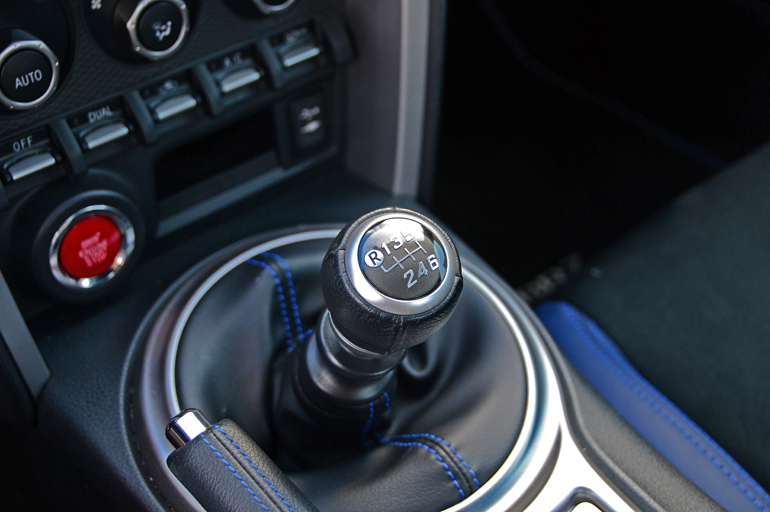 All Series.Blue Edition BRZs get the 6-speed manual transmission mated to the competent 200-horsepower 2.0-liter flat-4-cylinder direct-injection engine. 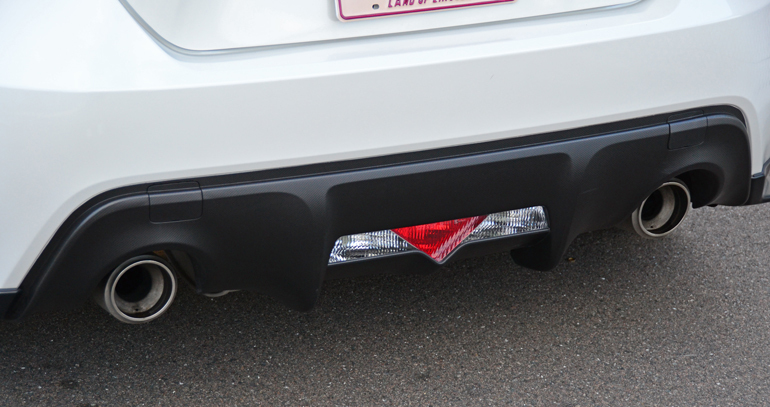 Out back, the dual exhaust gets larger tips to fill the big openings molded into the rear bumper and diffuser. 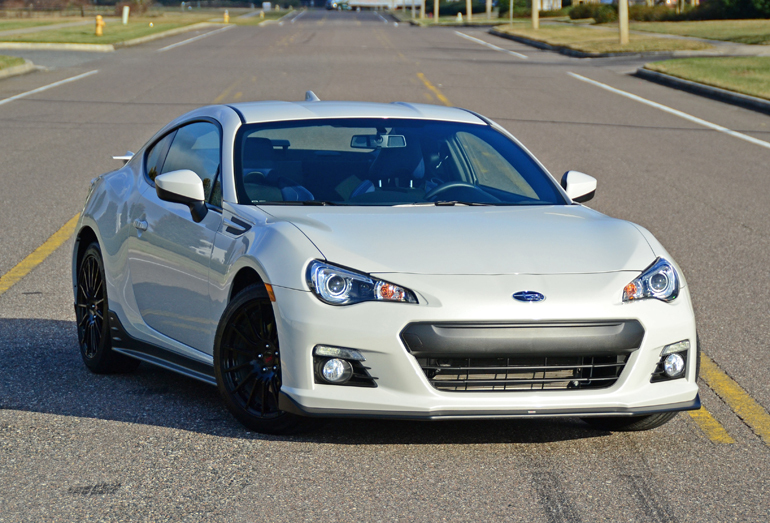 Reiterating my enjoyment from many test drive experiences in the Subaru BRZ and its Scion FR-S sibling, you can once-again conclude that it is among the best handling vehicles for the money. 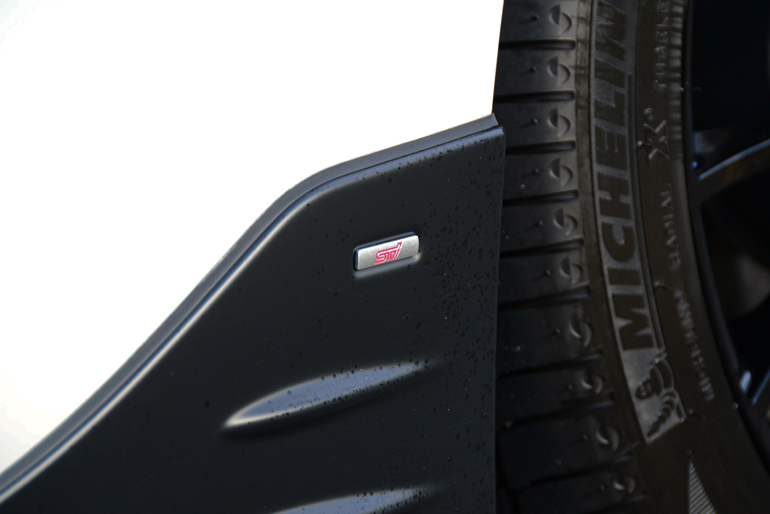 The low center of gravity pays attribute to its handling-on-rails-like character only giving away at the mercy of the smallish 215/45/R17 tires. 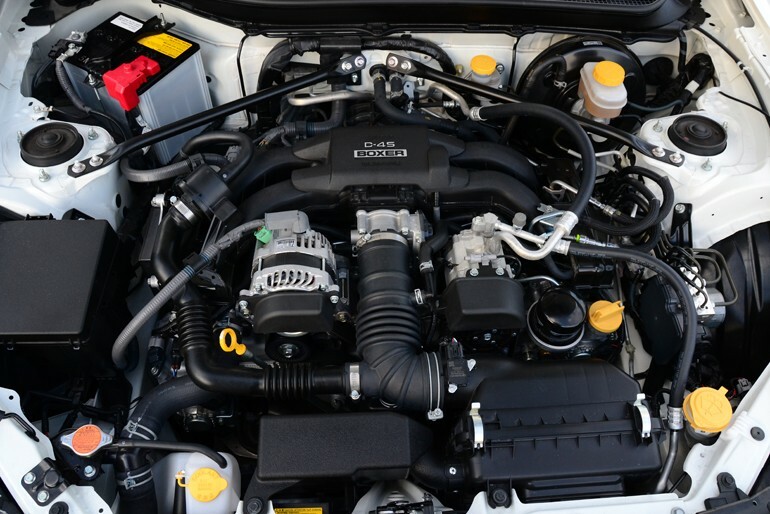 The use of a limited slip differential while the rear end breaks out is easily manageable and quite predictable for bring the rear back in line when traction and stability control are fully disabled. Making use of all of its power through the 7,400 rpm redline, the boxer (horizontally opposed) 4-cylinder engine keeps pace with no surprises begging you to bang through each forward cog like you are rowing a boat to save your life. 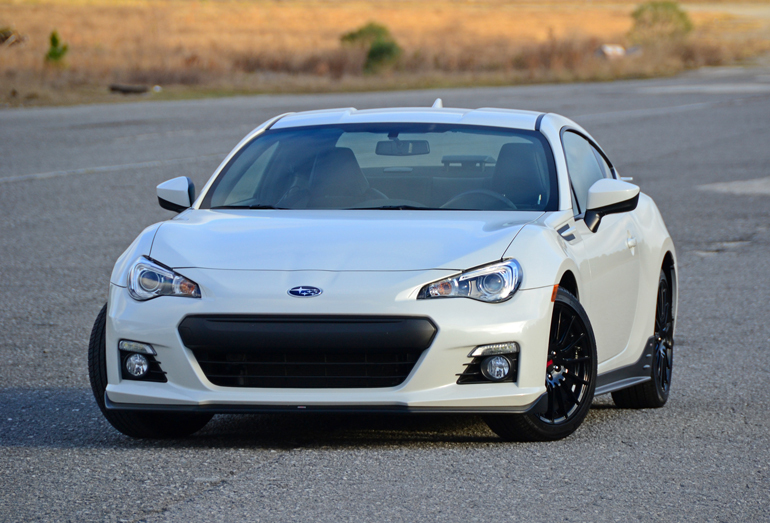 The BRZ makes you work for the prize, something that is missing from many cars today – along with a manual transmission. The 6-speed manual transmission is direct in its shifting giving you confidence to land each gear nearly as fast as some automated manual units. Even the nearly razor-sharp steering communicates the road with the perfect ratio and over-all feel. 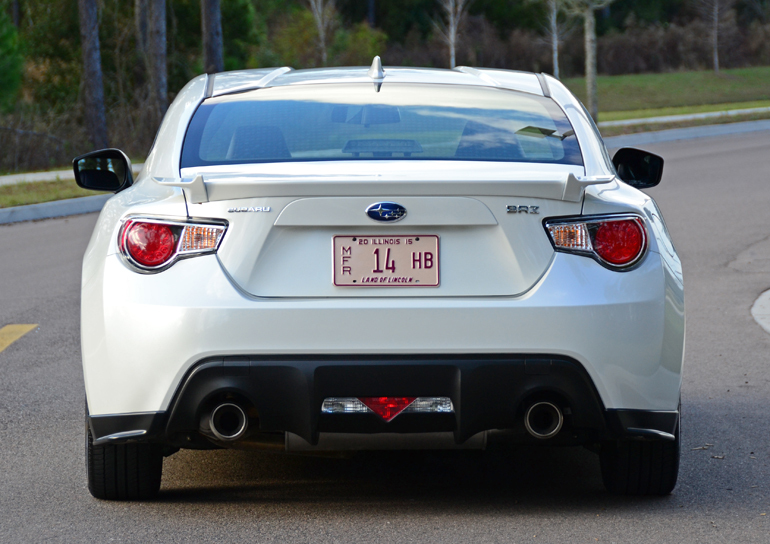 The rewarding balance of the BRZ’s chassis is a well-followed trait that sells the vehicle for enthusiasts, instead of the balking crowd asking that it receive another 50 horsepower. Of course it could use more power. However, the fun starts and ends with flatout throttle inputs in sharp turns and even on early exits out of hairpin turns without concern of the rear end oversteering into oblivion. 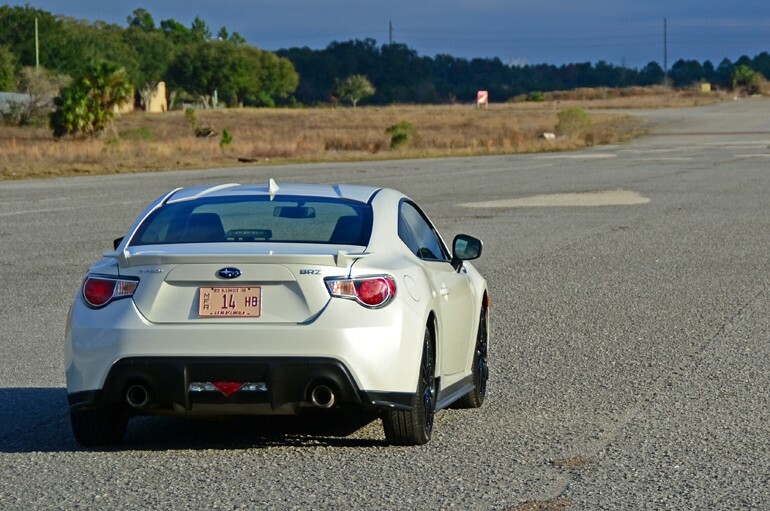 Of course, driving the BRZ like you stole it in a straight line yields a 0 to 60 mph of about 6.4 seconds, not exactly a dragster, obviously. 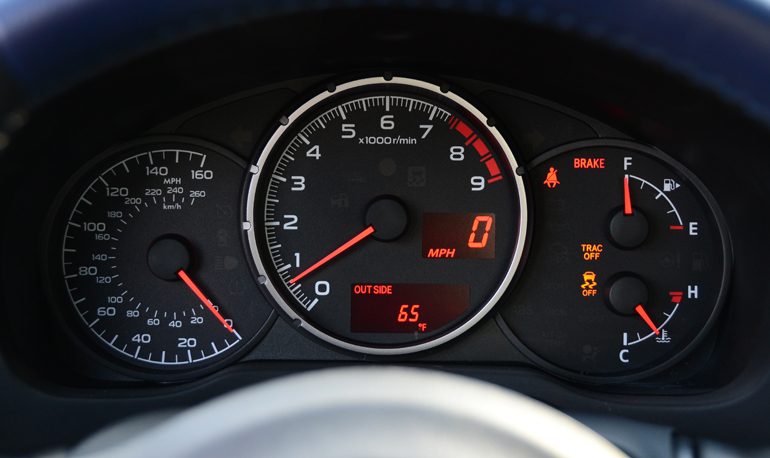 When driving civilized and not pushing the BRZ near its limits, you can expect to get the EPA estimated 22 mpg city and 30 mpg highway easily. It’s all relative that the BRZ and the FR-S are among a very short list of vehicles that reward in such a way without breaking your wallet. 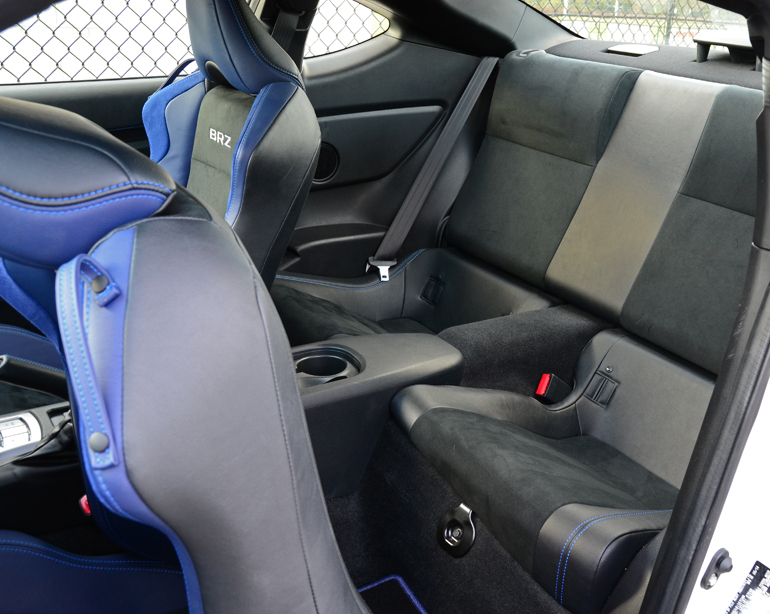 Speaking of wallet, the 2015 Subaru BRZ Series.Blue comes a slightly higher cost for the add-ons and tweaked bits. My test vehicle, with its Crystal White Pearl paint, black wheels and nicely blue-accented black interior, carries an as-tested price of $30,285. 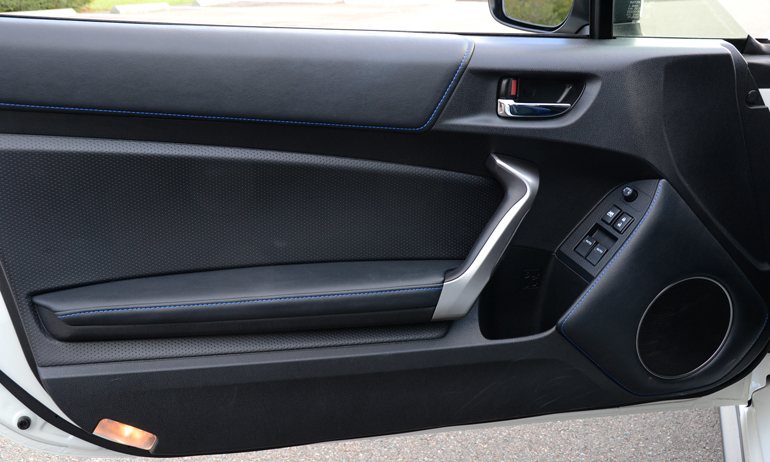 Of course, that is at the end of the BRZ’s food chain where virtually every option box is checked. Still, the price point begs the attention of enthusiasts who were once eyeballing the Subaru BRZ or similarly-fashioned Scion FR-S 10. The 2015 BRZ Series.Blue, limited to just 1000 units for the USA, is sure to be a hit for the Subaru brand and its closely-followed group of automotive enthusiasts. In a nutshell, the new 2015 Subaru BRZ Series.Blue is a few brushstrokes ahead of the blank 2,700-pound tuner canvas that it is in base trim form. All around good stuff.